Save AED 11 (64.71%) – Earn 1 Shukran What is Shukran? Shukran is the Landmark Group’s award-winning loyalty programme in the Middle East, which allows you to earn Shukrans when you shop any of our brands. Your little champ will flaunt his drawing and painting skills as you get him this classy set. 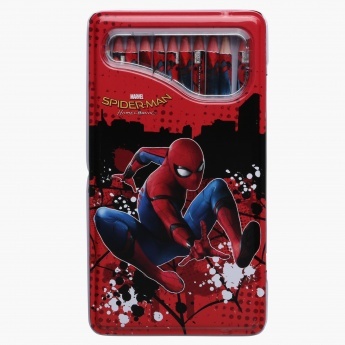 These 12 colour pencils have tapered ends to offer a great writing experience and sport a Spider-Man print in bright hues for exciting your kid.